The Medici Codex represents a unique case of a musical codex used as wedding gift. The Codex was commisioned by Pope Leone X (Giovanni de’ Medici, the son of Lorenzo the Magnificent), the first Medici Pope, as gift for the marriage of Lorenzo de’ Medici, Duke of Urbino, and Madeleine de la Tour d’Auvergne, that was celebrated in Florence in 1518. The collection, that comprises 53 motets, contains many symbolic references to the ultimate purpose of the gift: that is the diplomatic effort to reinforce the bond between the the Kingdom of France and the Medici family papacy. 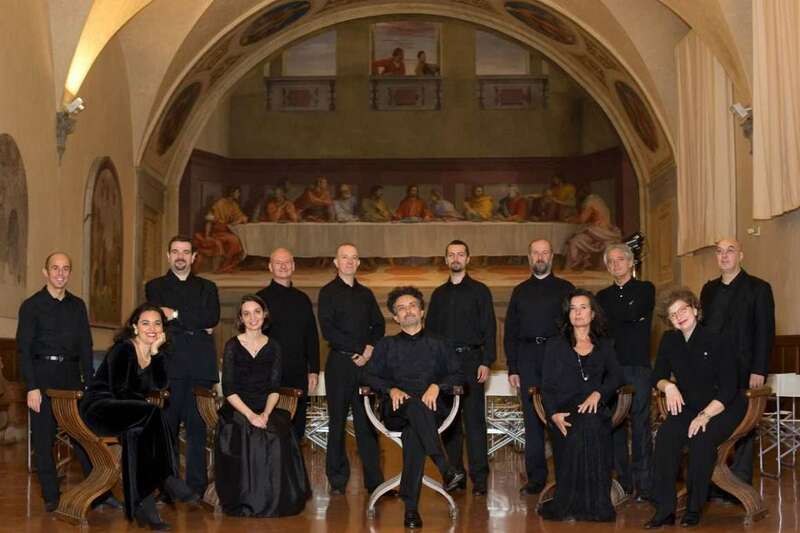 The concert programme, based on a selection of the most beautiful motets of the Codex, presents pieces that are connected with the three main figures of this event: the Pope, the groom and bride and the King of France thus creating an unprecedented musical polyptych.